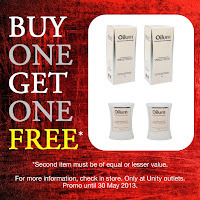 Singapore Freebies: Oilum: Enjoy Buy 1 Free 1 Promotion!! Oilum: Enjoy Buy 1 Free 1 Promotion!! 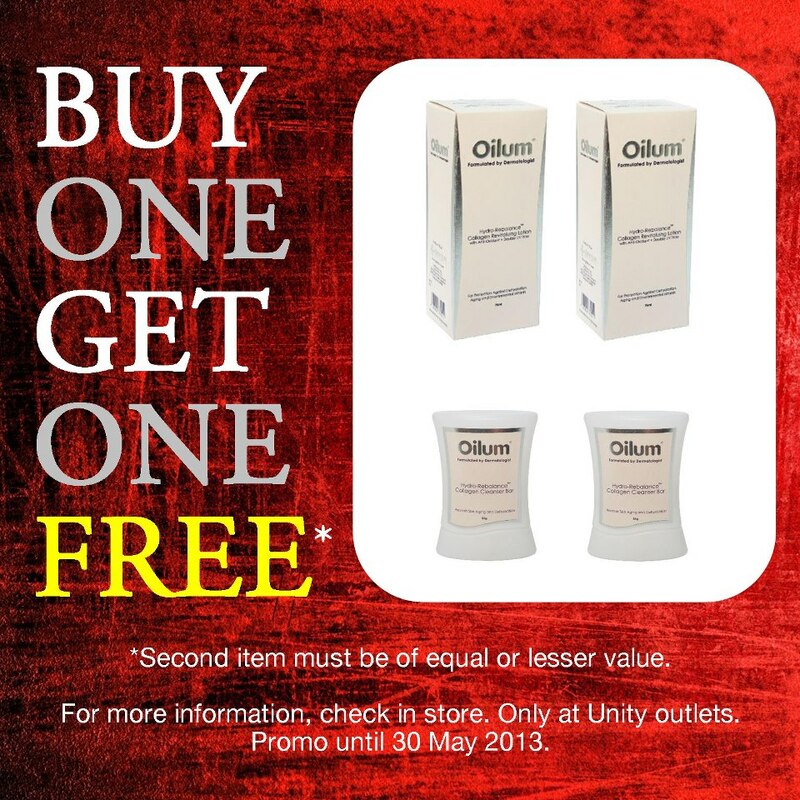 Have you checked out Oilum latest promo at Unity? All Oilum products are made with natural olive oil and collagen ingredients that work together in a unique formula that results in younger-looking skin that is moisturised all day long. Our products are made with quality ingredients. Laneige: Free BB Cushion Samples Giveaway!! Sushi Express: Everything @ $1 Promotion!! True Harmony: 3 Hours Spa Indulgence @ $28 only!! Freshman: Free Fresh Juice Giveaway!! Burger King: Free Mushroom Swiss XL Giveaway! !